When you work as a consultant, as I do, you end up in a lot different kinds of unpleasant work spaces. There is the big room that requires industrial strength head phones to concentrate, and there is the office awkwardly shared with your supervisor who has no where else to put you. But the worst for me, personally, is the dark cube tucked into a windowless corner where the sun never shines. Not knowing if it is raining or sunny, or even day or night, wears at me. I’d have been awful on a submarine. My latest assignment had put me in just such a place, until I had the bright idea to bring a globe into my office. It’s decorative and kind of pertains to my job and it almost fit between my desk and the wall. I just needed another inch or two. The office manager took pity on me and my minor attempts at interior decorating, and okayed scooting my cube out a bit so that the globe could stay. Lo and behold. Once the scoot was made, a small piece of metal kept the two cube walls from joining perfectly. I now have a crack in my walls. I maintain several different blogs. I have a blog where I write about peace and I like to feature photography and art about the subject. It’s fairly easy to find. I have another blog where I write about joy and photos of happiness are even more ubiquitous. But how do you picture hope? That’s a tough one. On this here blog, which is about hope among other things, I’ve used the sun breaking through clouds and an image of a small plant shoot coming up in barren soil. Hope is a harder thing to picture. At least for me, it used to be. No longer. 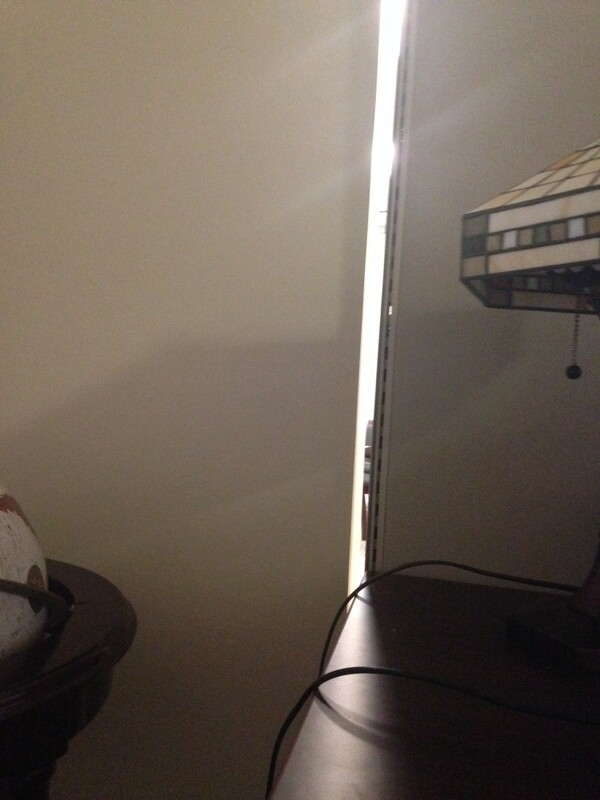 If the door across the hall is open, sunlight now seeps in through the crack in my wall and what a difference it makes. My whole attitude at work has improved, and left me pondering the many wonders of letting a bit of joy ooze in through an imperfection. 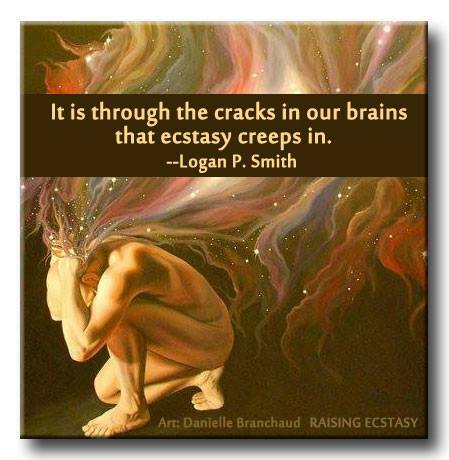 More than once I’ve found myself humming lyrics that go “there is a crack, a crack in everything …. that’s how the light gets in” and wondering where in the world I got those words from. A minute on Google just solved the mystery. Leonard Cohen’s song “Anthem” is either the world’s most depressing song about hope, or it’s the most hopeful song that could be written about a depressing world. I’m going to go with the latter. I now have my own photograph of what hope means to me and it’s a simple picture of a gap between two office cube partitions. Better yet, I found this fine video of “Anthem”. It gives Cohen’s poetic lyrics superimposed on images that just might make you feel like it’s not that bad after all. Give it a try. One more plus — I just found a great post about this song on another blog called That’s How the Light Gets In. It’s worth checking out, and this day just keeps getting better.